Discussion in 'Magazines' started by SHANGHAIBOY, Mar 20, 2009. 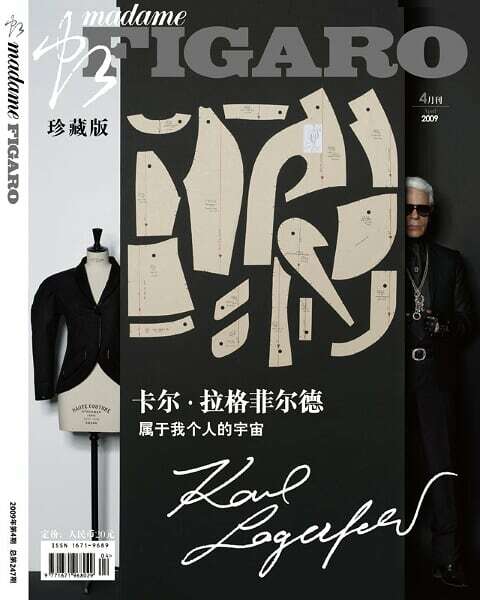 Madame Figaro China launched a project"the magic pattern",The idea is to offer readers a pattern from a big luxury brand each month. For the first one, it was with Qiu Hao.the chinese designer who just won the Wool Mark Prize last year in Paris. Karl Lagerfeld did the second one for this project..with a pattern from his SS09 collection! looks interesting, never buy this magazine before, i think i will buy this issue. I will buy it if i could get one...I asked the day before yesterday and yesterday,but couldn't find it. I really want that pattern!